The gender gap in the technology industry is a well-known issue — and it is especially apparent when examining the ranks of senior-level cybersecurity technologists. A 2017 study conducted by (ISC)² and its Centre for Cyber Safety and Education found that women comprise just 11 percent of the current global cybersecurity workforce. And our own recent survey on women in cybersecurity found that most women in the US, Europe, and Israel rule out a career in cybersecurity by age 16. However, many opportunities exist in cybersecurity for women who are up for the challenge of protecting the world from cyberthreats. And there are excellent examples to be found of women who have thrived in the IT security space — our own Noushin Shabab is one of them. 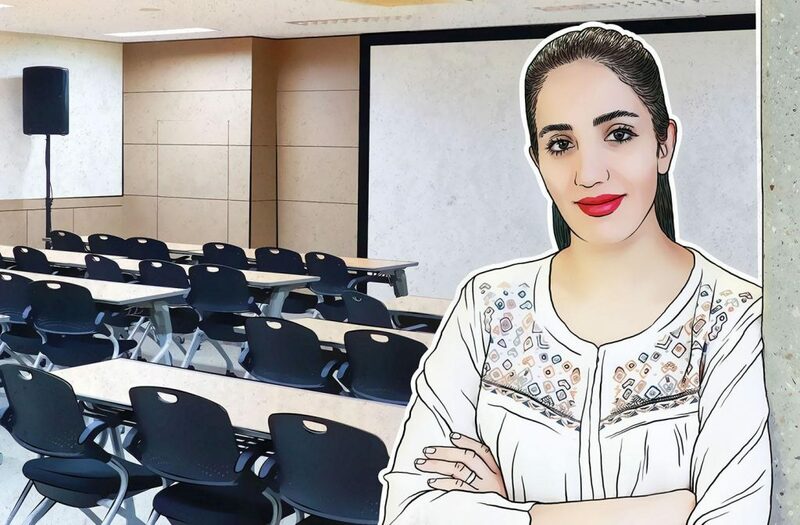 Noushin has had an impressive career in cybersecurity — she’s now a senior security researcher at Kaspersky Lab, and a member of our highly selective and esteemed GReAT research team. We spoke to her to understand how she has become so successful, how the security industry has become more welcoming and inclusive for women, and what steps she has taken to help draw more women into the space. Why did you decide to pursue a career in cybersecurity? From a very young age, I was always fascinated by puzzles and mathematical games. When I was in middle school, I had the opportunity to learn more about programming, which is when I realized that my love for puzzles appeared in algorithms and in the problem-solving aspect of computer science. Right after finishing my university degree in IT engineering, I started my career in cybersecurity as a malware analyst, where I found that the challenges of the role perfectly satisfied my desire for problem-solving. Soon, I realized that there was no better field to fulfill my interests while making a difference in the world. What would you say to young women with the skill sets to succeed in the industry, to encourage them to pursue an infosec career? The IT security industry is so wide and there are so many different roles, which is why I believe any young woman with an interest in computing can find her ideal career in the sector. To be successful in the industry, you need to add passion and persistence to your skill set — not every day will be easy, but the results will be worth the challenges. A career in cybersecurity will bring its fair share of challenges. When you put your time and effort into a task and you overcome the challenges to find your own way through it, that is when you truly feel rewarded and you realize that this career path is more than just a routine job — it becomes your lifestyle. How do you think the cybersecurity industry is changing to encourage more women to join and bring their contributions to the industry? Fortunately, there are various elements that are changing the industry to attract more women into this field. For example, one of the most beneficial changes in my opinion is the increase of IT security influencers getting involved with university and/or high school students to empower and help them find their talent for security. This ultimately builds their confidence, which leads them to pursue a career in the field. Another key element that is encouraging more women to consider a career in cybersecurity is the increase in events and organizations devoted to the cause, such as OUR Security Advocates (OURSA). With more events emphasizing the importance of women in the industry and with more diverse speakers at conferences, the industry is changing its public perception and drawing new interest from female candidates. What do you think cybersecurity industry executives could be doing to recruit more talented women into the cybersecurity space? There are many women out there who prefer to work in a workplace with gender diversity. With that in mind, I think the best way forward is to recruit more talented women in order to create an environment where employees, especially female employees, feel comfortable and can relate to one another. My advice for executives is to encourage every team member to help successful women on their team feel more confident and be more visible. Encourage them to be the best version of themselves; this will result in women delivering profit-generating presentations and advice catered for business and company recognition. I thoroughly enjoy how each day is different — no two days are similar on the job. Each day, I face different challenges and it continues to keep me interested as I continue my career in the industry. Waking up every day, knowing that there are a lot of unknown adventures awaiting, is the most fascinating aspect of my job. How have you been helping Kaspersky Lab to become a change-agent in helping build a more diverse workplace? Since joining Kaspersky Lab, I have made it a priority to contribute to public events such as Interpol World, Singapore, to show the importance of talented women to different audiences. I am constantly refining and enhancing my skills in the industry to prove that women are strong and capable in this male-dominated field. On a personal front, it starts with education. In my own time, outside my hours at Kaspersky Lab, I have collaborated with an organization called the Australian Women in Security Network. Together, we fine-tuned syllabus details for a small group of young undergraduates to provide classes in empowerment and cybersecurity in preparation for the workforce. My goal is to inspire other young women to pursue a similar career path every day. There is exponential potential for woman in cybersecurity to bridge the skill gap and continue to thrive for years to come. No single particular individual is my role model. Instead, there are many people who have inspired me and who I look up to. Two of the people who inspired me particularly in the field of computing are Margaret Hamilton and Jean Bartik. Margaret Hamilton was one of the key people responsible for developing the navigation software for the Apollo space missions and is one of the pioneers of computer programming. Jean Bartik was one of the original programmers for the ENIAC. The reason these two great women inspire me is that they worked so hard and were so persistent during a time when there were a lot of limitations in their particular fields, yet they managed to stay strong and successful, which is why they serve as ideal role models for many women. Interested in hearing more from talented women in cybersecurity? Be sure to check out OUR Security Advocates (OURSA), a security conference taking place on Tuesday, April 17, where a diverse group of experts from information security and related fields will gather to discuss industry trends and hot topics. Participants will include Eva Galperin of the EFF, Aanchal Gupta of Facebook, and more — check out the conversation by following #OURSA.